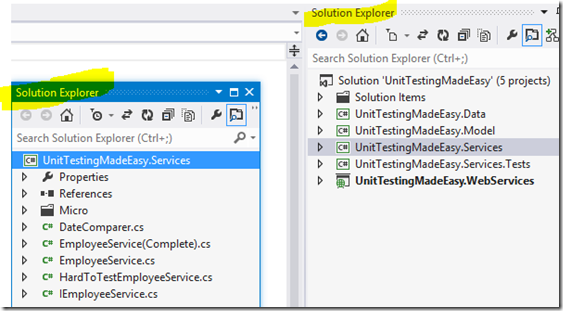 Did you know that you can have multiple instances of the Solution Explorer open at once? It’s a feature that isn’t so obvious because there isn’t a button for it. 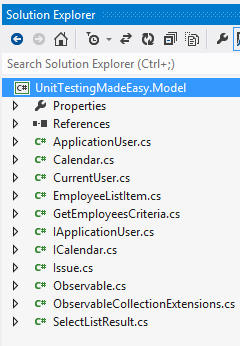 It is listed on the Solution Explorer context menu but those menus have so many options it’s hard to notice them all. 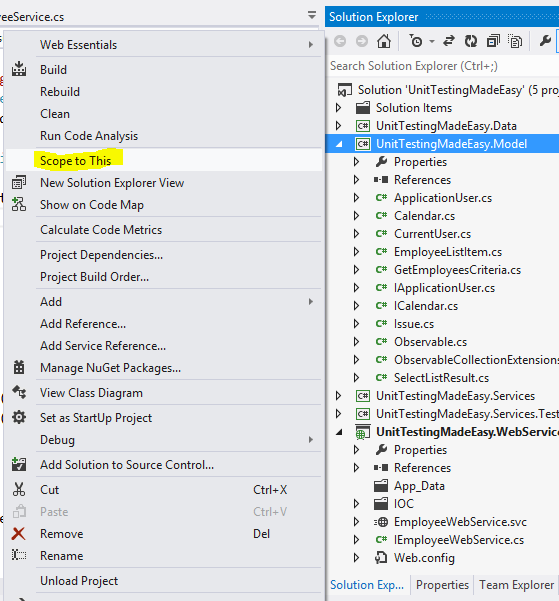 Here you can see that I’ve got a my Services project selected and I right clicked and chose “New Solution Explorer View”. 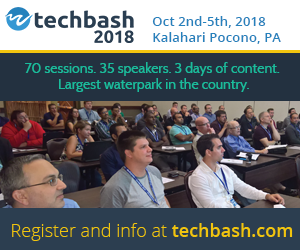 You can drag these windows around and dock them on opposite sides of VS or even drag the out or onto a different monitor! Things can get really interesting here when you are working on really complex solutions. You can combine the various scoping and filtering options with the New Solution Explorer View feature too. In the next screen shot, I’ve got one Solution Explorer with my complete solution and one that is filtered to show only files that are open! 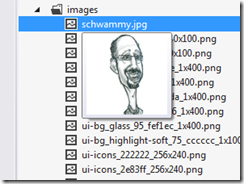 In a previous tip I talked about using some of the built in Filters in Visual Studio’s Solution Explorer. This is a similar feature. It’s one of those great ways to get rid of the “clutter” and focus on what is important. If you have a complicated solution, like I typically do, you’ll find this helpful. 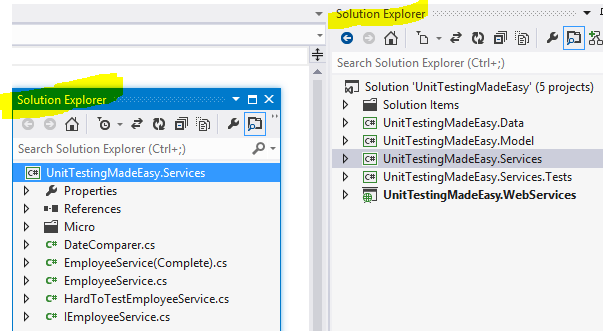 In the screenshot you can see Visual Studio 2012’s Solution Explorer loaded up with the solution to my “Unit Testing Made Easy” demo. 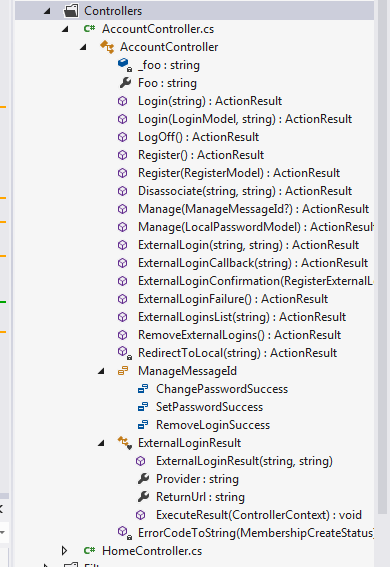 You’ll note that I’ve selected the Model project and right clicked to see the context menu. I’ve highlighted the option for “Scope to This”. 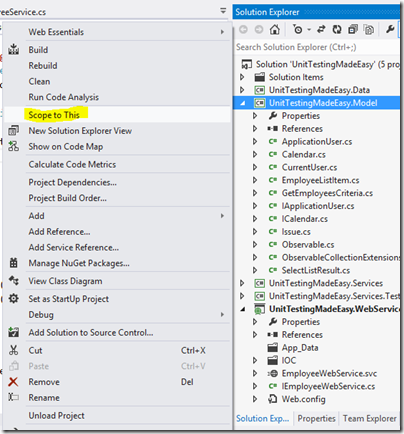 After clicking it, my solution explorer will now have the scope of just that project. Presto… clutter removed. This doesn’t apply to just projects. 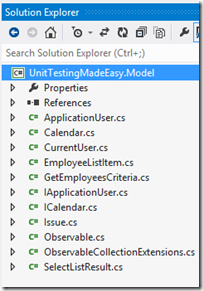 You can “scope to” just about any item of folder in the solution explorer. As a matter of fact, once you have the Scope set, you can also applies those filters I mentioned before! And if you search (see my post on searching in Solution Explorer) in Solution Explorer, that search will have the new scope as well! 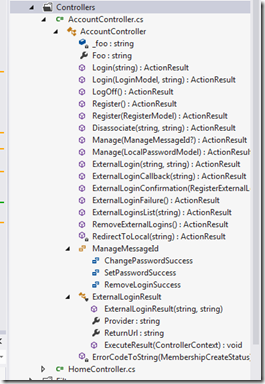 There really are a lot of was to keep the solution explorer clean and clutter free.